A venue installation that really POPs! 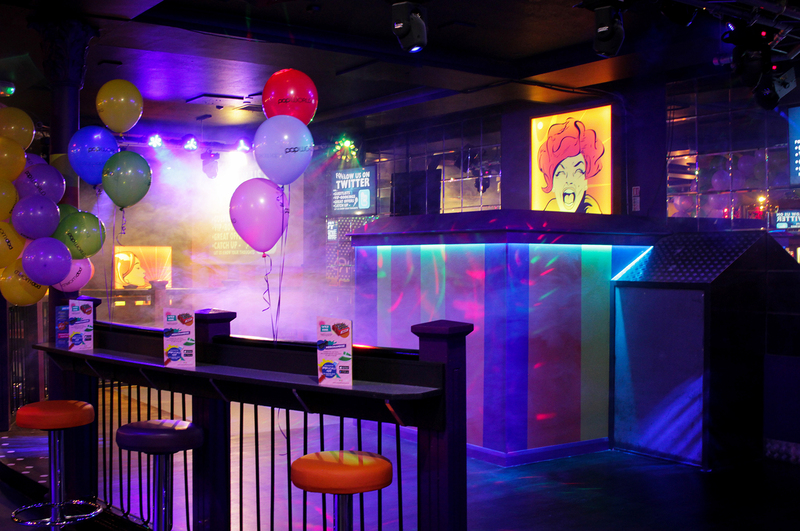 It was an exciting weekend for the Prolight team after being given early access on Friday evening for the anticipated opening of a new venue ‘Popworld’, Bolton! Formerly known as ‘Reflex’, the venue closed its doors near the end of September in readiness for a £200k revamp, and of course the reopening weekend celebrations. Organisers at the venue succeeded in their hopes for a huge opening night, with ‘90s nostalgia icons ‘The Cheeky Girls’ performing live on the Saturday evening. 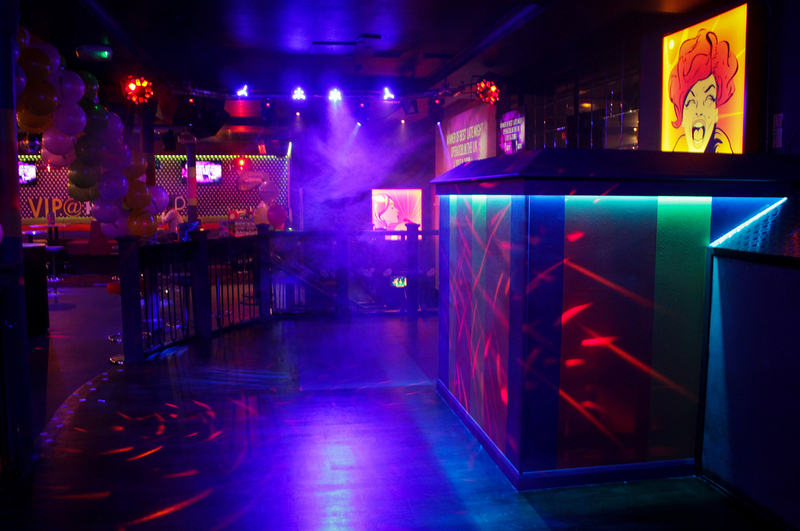 This is actually the second Popworld installation that heavily featured products from our brands including LEDJ and Equinox. Walking into the venue you could instantly see the difference, with bright orange, green and purple stripes covering the walls, and new VIP booths had been installed along with large pop art canvas’. 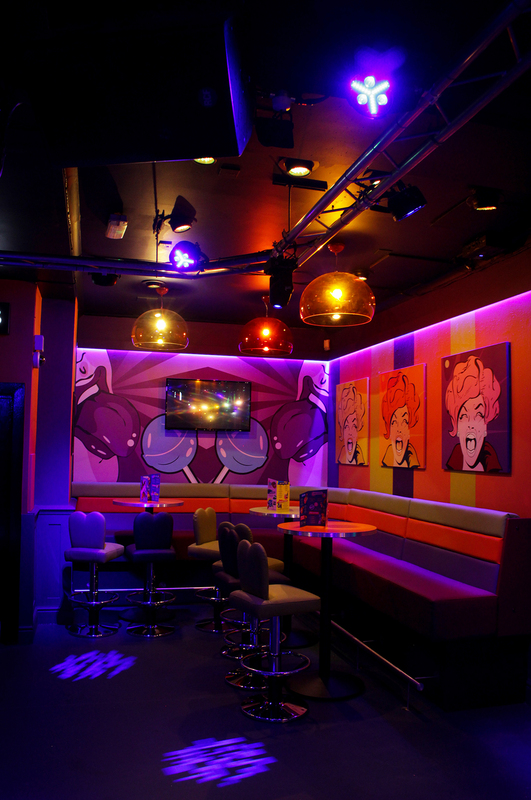 The colour theme continued throughout the venue with the bar stools and matching glass house lampshades. Ladder truss suspended from the ceiling provided the perfect mounting point for 31 Equinox Aztecs and 19 Equinox Fusion Spot XPs. The Aztecs combines multiple technologies into a single, compact lightweight housing. 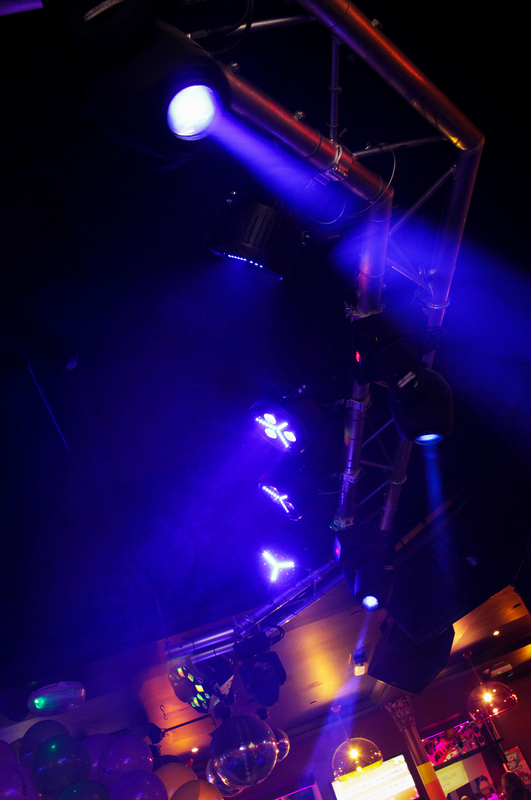 The three 8W RGB+UV LEDs, a tri formation of RGB SMD LEDs and a ring of white strobe SMD LEDs create stunning eye-candy effects. The Fusion Spots provided multiple vibrant gobos sweeping the room. With both units being so compact, they camouflaged themselves nicely in the venues roof space not standing out too much, whilst, in between the fixtures, grids of Equinox mirror balls were installed to create a retro feel. 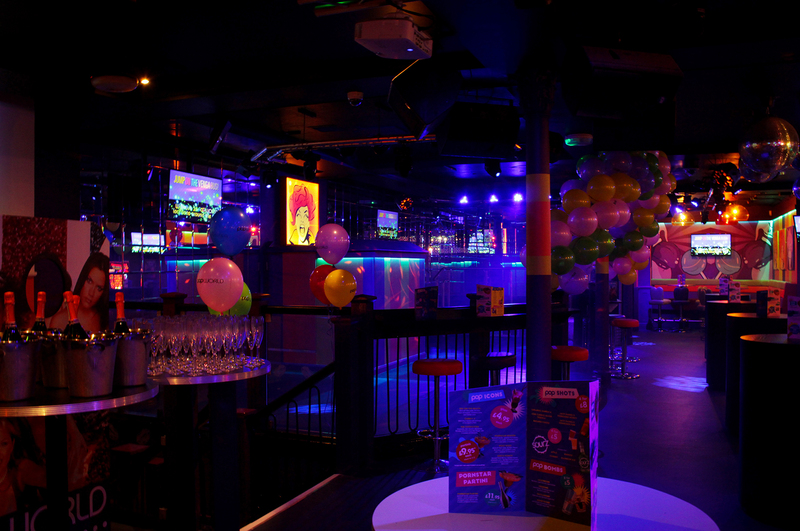 The ‘Popworld’ brand of nightclubs prides itself on offering a ‘fun night out’ playing the biggest hits from the 1990’s and 2000’s, and this weekend was no exception. The décor and high-quality product installation by ‘Sound Power’ all contributed to atmosphere the venue wanted to create, with a retro vibe at the heart of it all. 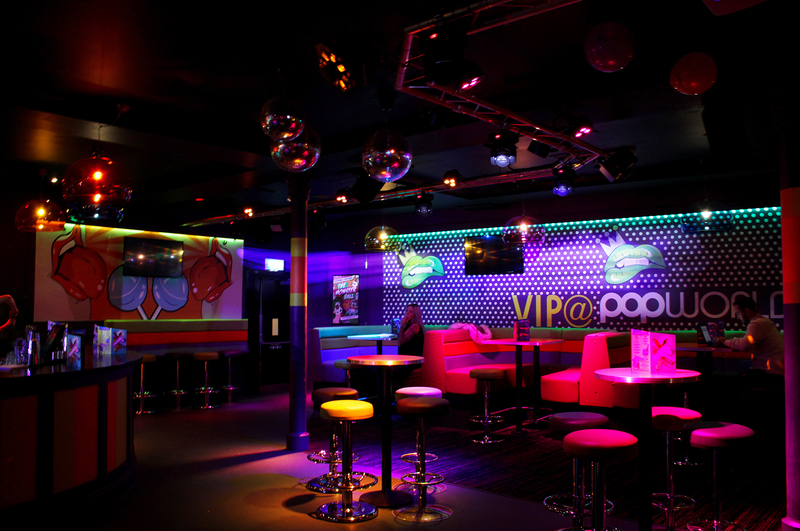 Sound Power are a UK audio visual design and installation company that offers clients a complete solution, from advising on the initial concept, to design, project management, installation which they did for this new Popworld location. 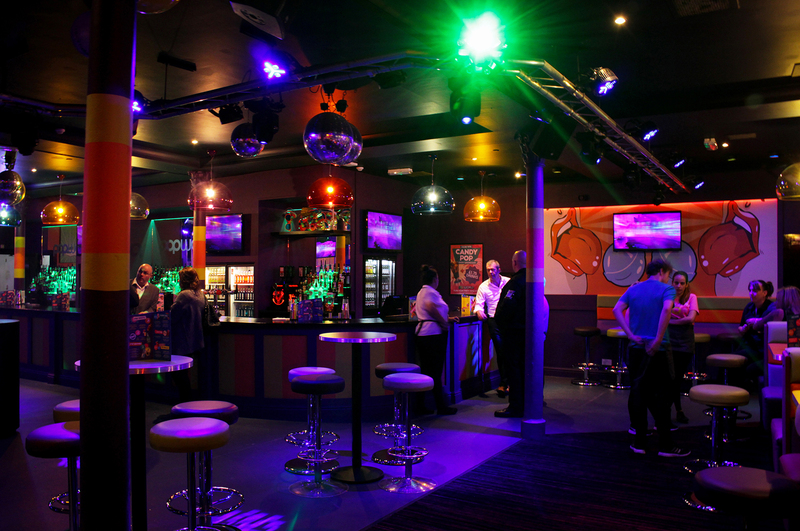 The Popworld franchise is part of the Stonegate pub company and continues to grow with this being it’s 28th branch opening in the UK with other locations in Manchester, Newcastle, Cardiff, Southampton and London. 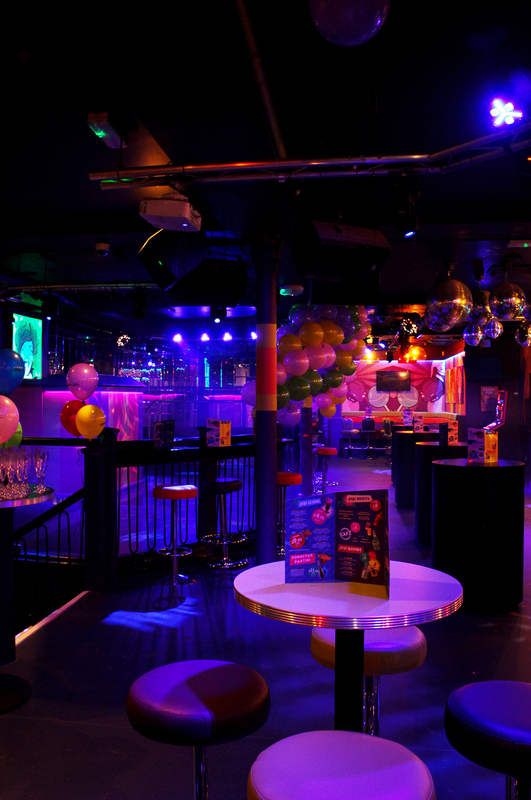 We wish them all the success with this latest location, and hope our products continue to wow their clients each and every weekend, providing that party atmosphere known and expected from Popworld party nights.